Who The Hell Is Michael MooreReally? WHAT IS THERE to say about the blathering abomination? Hes fat? Hes a slob? A phony? Everybody already has their own ideas about that. Whathe goes around dressed in old ball cap and sloppy clothes? Now thats interesting, because it apparently shows what a false, lying, cynical, marketeer he actually is. Hes marketing a Brand. His Brand: a Michael The Just Moore brand. He dresses like sloppy Joe America; a typical Guy. He plays Lets-Make-Believe with the washed out brains of liberal Americans who obey the noise his lips make when they flap. Hes a phony with an image he wants to project: a just, honest man trying to speak truth to the masses and help save the world? 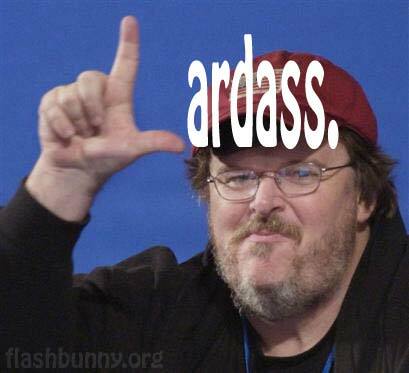 Fricking Michael Moore is worth $50,000,00. Why the HELL would he dress like a slob and go around like that? Because he is a slob? No. Because he is a simple man with an open mind? Nooooo! Its because he wants you to THINK hes only a poor slob. Hes really a rich guy who can afford ANYthing. He can have gold and diamond watcheswomen (or whatever), expensive food and boozehe can have ANYthing he wants. Hes a smart, smart, smart guy whos made millions off ensnared movie-goers whovelets face itspent the $50,000,000 on his views and thoughts. Moores Thought does not come in a little red book. I think this is because thats too small an idea. He needs BIG exposure, so it comes over the airways, via CNN, MSNBC, ABC, CBS, NBC, and all the rest of the rabid, mad-racoon, US media cabal. And lets not forget the megaphone given Michael Moore by newspapers, TMZ, the NYT, magazines everywhere, and thin skinnies in your supermarket checkout line where you see the headlines. WHY does he talk this way about Trump? Why is he so anti-Trumps-America? Why does this rat spew this rant and product? Because hes patriotic? Because he believes in a real America? Because he is incapable of lies? NoooooMr. Moore is likely a One-World, no borders, no Trump, no guns, no nothingknow nothing LIBERAL kinda guy. Its his Brand fer chrissakes. Its what he needs to sell, to make even more money off you, to remain prominent and relevant to the Cause. His Cause. The Liberal Cause. In my opinion, the Cause he emotes in front of cameras is to increase his personal fortuneto make money and promote cold, hard, blood-curdling, Marxist LIBERALISM. He seems to have no other view, except to obliterate the old Americaall stabilizing, American traditions, customs, and the American Wayand to replace the American Way. Michael Moore has his own views, and ideas, and apparently thinks he should be one of those doing the replacing, with his own Way. One of those magnificent elites, in charge when Obamas fundamental transformation of America finally gets stamped and goes through. Michael Moore would seemingly reserve a prominent place for himself at the Table Of The Elitewhere the elite meet. Michael Moore, apparently in his own mind, IS the elite. Why else would he be saying what hes saying? Because Michael Moore believes he is right, and we are all wrong. When it comes to Conservatives, they are just a bunch of knuckle-dragging, stupid, dumb, gun-loving, climate-hating, anti-gay/black/Mexican/Islam/Muslim/Etc./Etc., dirty, useless scum. And they need to be replaced by a New World Order. As soon as poossible. Before Earth melts. Or goes to Hell. Or something. And Michael Moore is just the Guy to do it. Do Not ignore this man. He is Not dumb. His mind is not sloppy. He Knows what it is he does. And the manaical Liberalsthe progressivesare pretty much on trackby mostly thievery and liesto win. To win the grand prize: America. They will take America from you and have you all in orange jump suits. Or dead. 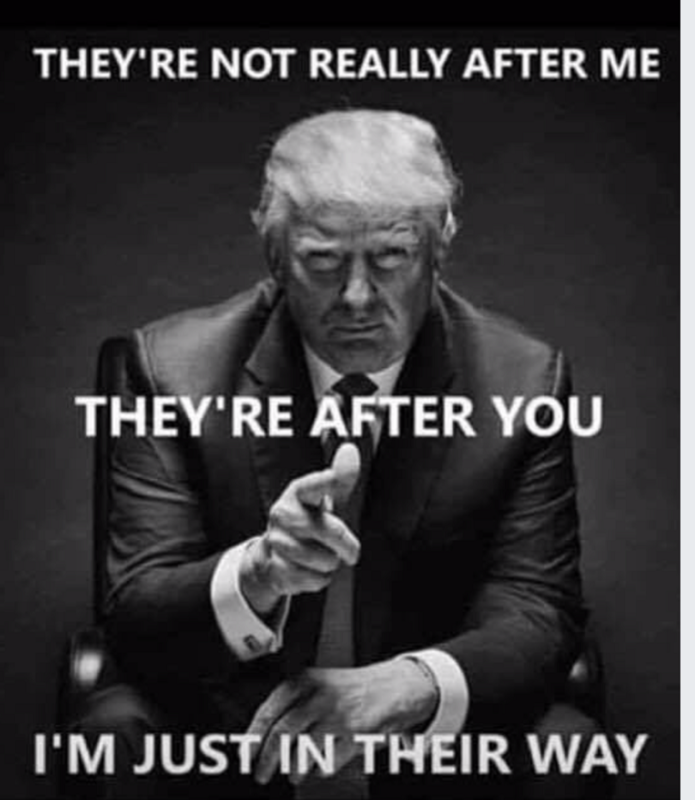 Trump isnt what they want. They want you. Trump is only in their way. Be ready. Be brave. Be clean. Be reverent. Be prepared. Caption: Anything I Needed To Know, I Learned In Cub Scouts. . Note: That is only ONE of Michael Moore's EIGHT homes. What is the html for that? Howd you do that? Is there any reason as to why I should care who he is? Remember he was VERY pro-Trump at first. That should give a hint who he is. What happens to folks when an excess of fat cells clog the brain. Timber structures such as this can quickly be engulfed in flames if a fire is not quickly extinguished. That poster is SO true. More chins than a Peking phone book. The human-swine hybrid became an Eagle Scout in 1970. So the decay of the BSA is nothing new. America would not be here today, if H. Clinton had won. Open borders in violation of the law undermines the concept of law and society itself. I wonder what kind of mind caused Moore to pick a log type house? It’s like those homes that homesteaders in Alaska would build—only off the charts bigger. Even if it is huge, I would get cabin fever in that home. Wood is nice for the trim, but for all the walls, floors and ceilings? Not for me. Walls of dark wood get me claustrophobic. The 1970s brought us homes with walls of dark wood paneling. The blight of those homes persist to this day. I hate them with all their holes, scratches and dull surfaces—and, of course, dark rooms. Moore’s home reminds me of what those homesteaders build in Alaska. All those logs come cheap from their own property. Putting up sheet rock to avoid the ambience of a pine box would be out of the budget. I might consider living in a pine box if it was necessary for my survival. But Moore has plenty of money for survival. Why did he choose a pine box?